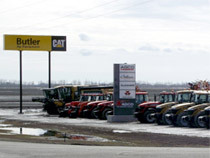 Butler Machinery Company, parent company of Butler Ag Equipment, started in 1955 when Francis J. Butler, a former Grand Forks, ND, contractor, was selected to be a Caterpillar dealer. As a contractor, Francis knew the necessity for the dealership to provide the best in equipment and the best product support. Francis’s vision required capable, well- trained management and associates together with the most advanced tools, technology and facilities available. 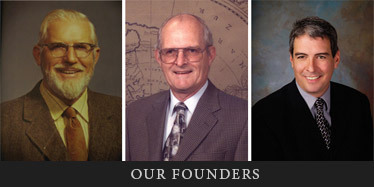 Three generations of the Butler family have maintained this vision. Matt Butler served as CEO from 1969 to 1998. Dan Butler has served as president since 1998. Francis began with very modest stores in Grand Forks and Fargo, providing service in eastern North Dakota and Clay County, Minnesota. A facility at Main Street in Fargo was built in 1957 and replaced with the current building on I-29 in 1986. 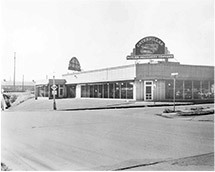 In 1964, Butler expanded into western North Dakota with the purchase of Schultz Machinery Co. and its stores in Minot and Bismarck. The current Bismarck building was completed in 1976 and the Minot building in 1978. In December of 1988, Butler acquired the assets of Kearns Machinery Co. in Sioux Falls, Rapid City and Aberdeen. The company now serves customers throughout South Dakota. In March of 1999, a new store was opened in Jamestown, ND. Butler has committed to providing the best possible sales and service not only in heavy equipment, but also in agricultural equipment. The Jamestown store is a major hub for ag activity. 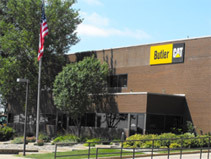 Butler opened a new training facility and corporate headquarters in Fargo in January 2000. The vision of providing the best possible training for our associates is evident in the training classrooms, curriculum and state-of-the-art training equipment. During the fall of 2003, the Aberdeen store addition and renovation was also completed. In May of 2005, a new store was opened in Pierre, SD. The emphasis of the Pierre store is on ag equipment and product support for ag customers. In 2010, a permanent Pierre location was opened. 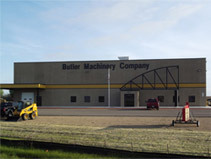 Butler Machinery Company added another location, in Hankinson, ND, in 2008. Formerly Green’s Implement, Inc., the Hankinson location is also primarily focused on ag equipment. In 2009, a new store was opened in Dickinson, ND. The Dickinson store focuses on both the heavy construction and agricultural markets. A 12th location, in Hoople, ND, was added in 2010. Formerly Hurtt Equipment, Inc., the Hoople location is primarily focused on ag equipment. 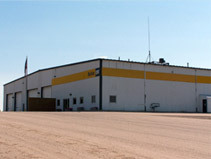 Recognizing a need to expand further in South Dakota, a 13th location opened June 2012 in Huron, SD. In addition to serving the area’s ag and construction customers, the shop is also a full service truck center. In 2012 Butler was given the opportunity to acquire AGCO’s Challenger and application lines in the state of Nebraska. Ground broke for the first Butler Ag Equipment location in Fremont, NE, and a parts division was set up in Kearney, NE. At the same time, Butler also added two new locations in Devils Lake, ND and Fremont, NE. The building in Devils Lake opened Summer 2013 and the Butler Ag Equipment location opened late Summer 2013. In August 2014 we opened our 2nd full-service Nebraska facility in Pickrell to better serve our Eastern Nebraska customers. 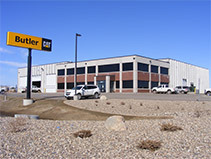 Butler acquired Henkens Equipment in Chadron, NE on January 2, 2015. 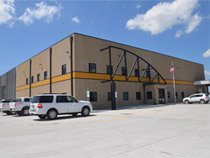 The facility serves as our 3rd full-service location in the state of Nebraska. 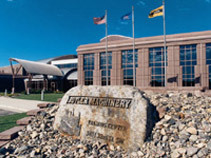 In addition to AGCO, this facility will carry Horsch products, along with a small number of short-line contracts currently carried by Henkens.